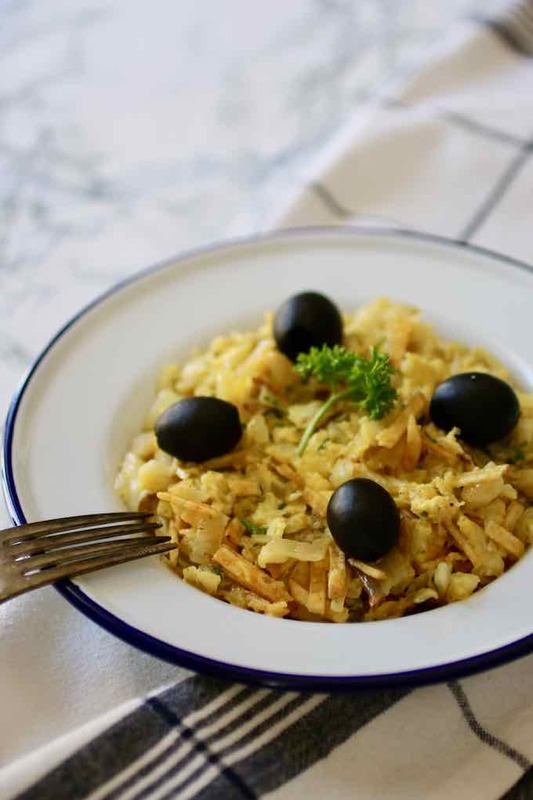 Bacalhau à Brás (cod à la Brás), also known as bacalhau dourado (golden bacalhau) is a traditional Portuguese dish prepared with shredded, salted cod, onions, garlic, thin matchstick fried potatoes, and scrambled eggs, topped with black olives and sprinkled with fresh parsley. 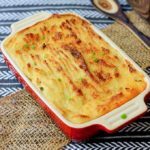 What is the origin of bacalhau a bras? 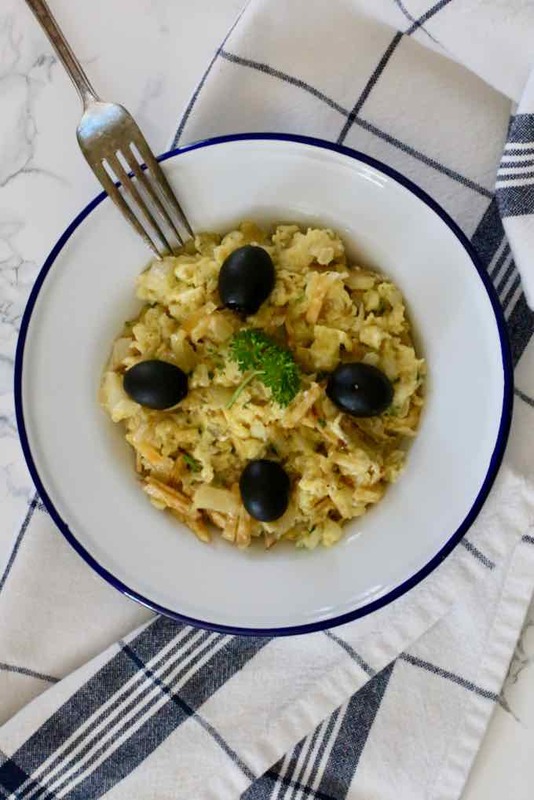 This bacalhau recipe is said to have originated from Bairro Alto, an old neighborhood of Lisbon, where it was invented by a tavern owner called Brás (Blaise in English). The technique of à Brás is often used with other ingredients, such as vegetables, mushrooms (cogumelos à Braz), ham (fiambre à Braz), chicken (frango à Brás) or sardines (sardinha à Bras) just to mention a few. Bacalhau is the Portuguese term for dry, salted cod. 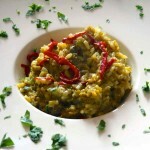 It is referred to as bacalao in Spain or bacala in Italy. 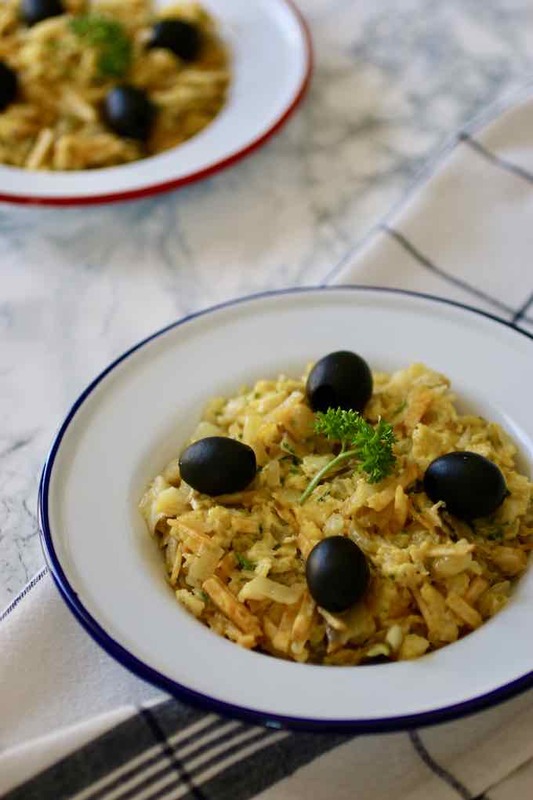 Historically, bacalhau has been the staple food for these predominantly Catholic countries during Lent, on Fridays, or other Christian holidays, when meat is considered a forbidden food. On Christmas Eve, known as the Consoada in Portugal, families get together and prepare the traditional dinner consisting of bacalhau, boiled with potatoes, carrots, kale, eggs and chickpeas, all covered in olive oil. Bacalhau is prepared by salting and drying cod fish in the sun. 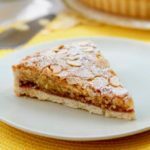 It was originally a preservation method that has since been replaced by refrigeration. 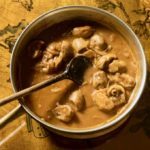 However, its unique, strong and delicious flavor is still popular today. Preparing bacalhau requires a bit of planning, as it needs to be soaked overnight to rehydrate the dry fish. 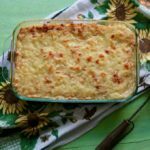 What is the origin of bacalhau? Cod has been an important commodity since the Viking period around the ninth century. The Norwegians used dried cod during their travels, and in the centuries that followed, a dried cod market developed, mostly in southern Europe. The Vikings were able to travel far and for long periods of time because they knew how to preserve cod by hanging it in the frosty winter air until it lost most of its weight to become a durable product. During the ninth century, the Basques had a short encounter with the Vikings as they were occupying the banks of the Adour River (near today’s Bayonne, France). It is during this time that the Basque people learned the dried cod techniques. However, the Basques, unlike the Vikings, had access to salt and sun. Instead of drying it in frosty air, they started salting it and drying the fish under the sun, which helped make it last longer. The Basques could travel even farther than the Vikings, and this more durable product was therefore easier to trade. By the end of the tenth century, the Basques were trading cod internationally far beyond the cod’s northern habitat. 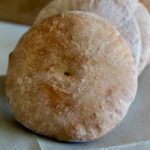 Even at that time, salting and drying to preserve food was not really a new idea. In Ancient Egypt and Ancient Rome, people were already preparing salted fish and meats. Before they started salting cod, the Basques were using whale meat. However, they discovered in cod a product that was more adapted to the salting method. Indeed, the very low fat content in cod would contribute to less spoilage. Cod would outlast whale or herring, which are both much fattier. Most of the fat content in cod is actually located in the guts. Who doesn’t know the benefits of cod liver oil? The fishermen from Portugal, as well as Brittany, Normandy, and England were the first to adopt the curing technique from the Basque fishermen in Newfoundland by the late 1400s. Around the early 16th century, the British were importing most of their salt from Aveiro, in central Portugal. In exchange, the British protected Portuguese ships. However, by the end of the 16th century, England controlled Newfoundland and since Portugal was under Spanish rule, the Portuguese were regularly attacked due to the hostilities between the British and the Spaniards. By 1640, when Portugal became independent, most of its fleet had been unfortunately destroyed. The Portuguese cod industry deteriorated and most cod was instead imported. In the centuries that followed, salted cod became a staple of Portuguese cuisine. The drying and salting methods obviously help preserve nutrients but also make the cod tastier. In the 1830s, there was an attempt to revive the Portuguese fishing industry. Many young fishermen chose to go to sea to avoid being drafted in the army for the mandatory six years of service, but life for the fishermen was not easy. During the four decades of António de Oliveira Salazar’s dictatorship between 1932 and 1968, cod fishing was subsidized by the government. Cod was the staple for good Catholics on Fridays and holy days. Today, although Portugal has the world’s largest cod market and one of the largest processing companies (Riberalves), there are only 10 Portuguese boats that are dedicated to cod fishing. Established in 1985 by João Alves, Riberalves processes 30,000 tons of cod per year, 40% of which is exported. Even though ready-to-cook and frozen cod products have become popular, traditional salted cod remains the market leader. Frozen, ready-to-cook bacalhau, which consists in fish that has been salted and dried, then soaked and frozen, now accounts for about 25 percent of the bacalhau sold in Portugal. Since the late 1900s, the production of salted cod from North America has declined due to stricter fishing regulation and a moratorium on fishing Atlantic cod in Eastern Canada. Unfortunately, the fish stocks have not replenished. Iceland and Norway have therefore emerged as the major suppliers of salted cod fish in Portugal. In Portugal, bacalhau is nicknamed fiel amigo (loyal friend). Interestingly enough, there is no Portuguese word for fresh cod. Instead, it is called bacalhau fresco (fresh salt cod). The soaking of bacalhau is a very important step in the process of working with salted cod. Indeed, if the soaking temperature is too cold, the fibers of the fish’s flesh may not open up and the finished product may be too salty. Also, if the cod is soaked for more than 24 hours, it may become spongy. 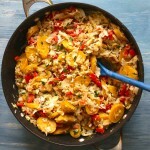 What are the most popular Portuguese bacalhau recipes? 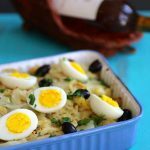 Bacalhau à Gomes de Sá: casserole of cod, potatoes, eggs, olives, olive oil and onion from Porto. 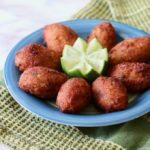 How to make bacalhau à Bras? 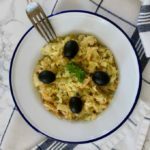 Bacalhau à Bras (or bacalhau à Braz) is a very easy recipe to prepare. Of course, if you use salted cod, you need to plan ahead for the soaking stage. 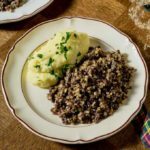 However, when you have your fresh salted cod ready, you can whip up this recipe in less than 30 minutes. Some people may prefer to make their own matchstick fried potatoes. However, most Portuguese families us packaged matchstick chips, and the favored brand is batatas pála-pála. 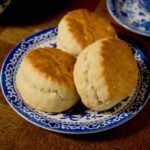 The eggs, that are added toward the end of the recipe, should be half cooked to offer a creamy and unctuous end result. 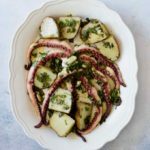 The perfect combination of the saltiness of cod and olives, the crispiness of fried potatoes and the soft texture of scrambled eggs, make this Portuguese dish the ultimate comfort food. Now, it’s your turn. Bom apetite ! Soak the salted cod in water for 24 hours, changing the water 2 or 3 times. Lower the temperature and simmer the cod for about 10 minutes. Remove the cod pieces with a skimmer and onto a plate. Remove the skin from the cod and shred it. In a large skillet over medium heat, add the olive oil. Add the onion and garlic and sauté for 5 minutes while stirring. Add the cod, mix and continue to cook for 5 minutes. Add half of the matchstick chips and mix. In a bowl, beat the eggs with a pinch of salt and pepper. Add the eggs to the cod mixture and stir until the eggs are half-cooked. Add half of the matchstick chips, and stir one last time. Remove and arrange in a dish. Garnish with parsley and black olives. It sounds delicious! I have to try it! Seems simple enough for my skills!